I’ve been a railfan for as long as I’ve been a gamer. I grew up taking daily school bus rides past the rail yards of the short line Genesee & Wyoming Railroad. As a kid, my brothers, father and I built an enormous HO scale model railroad in our basement, complete with mountains, tunnels, trestles, lamp-lit streets and a working waterfall. 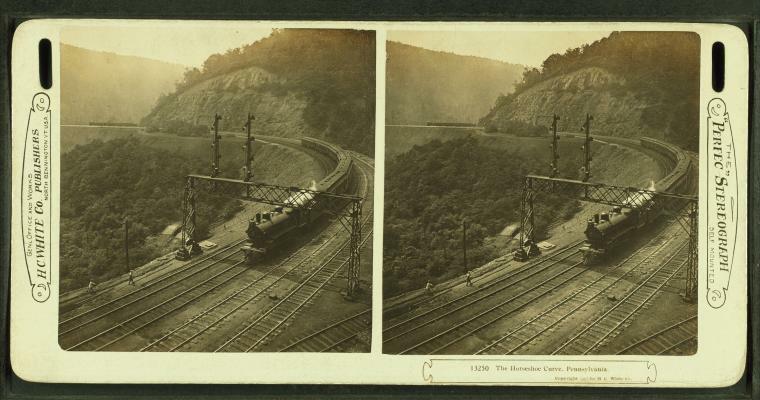 After graduate school, I found myself living in Western Pennsylvania surrounded by and visiting railroad landmarks like the Gallitzin Tunnels, Horseshoe Curve National Landmark and East Broad Top Railroad. To this day, I rarely walk by a magazine rack without leafing through the latest issue of Model Railroader Magazine. There’s just something about trains. For dual fans of railroading and gaming like me, there are a lot of options. Railroads lend themselves to gaming with their familiar cultural history coupled with thematic economic and mission/route-completion mechanics. Real-world competition among railroad companies, investors and promoters also contributes easily to any game presented within a railroading context. 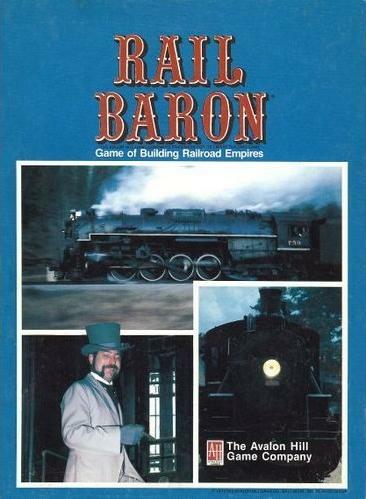 Avalon Hill’s Rail Baron from 1977 is widely considered the grandfather of railroad games. Based on a 1974 board game called Box Cars, Rail Baron presents players with a map of the US with 28 historic railway routes. Players compete, as did the railroad moguls of the past, to complete routes, upgrade to faster trains and collect more cash to pour back into their empire. Rail Baron became one of AH’s all-time best-selling games, and most modern railroad board games owe more than a little to this classic. A longtime favorite at my house is Ticket To Ride, the award-winning 2004 game from Days Of Wonder. TTR is a pretty straightforward game where players complete routes between US cities, scoring points based on the length of the rail line and connections made along the way. Players balance holding cards in their hands attempting to build more longer valuable routes with the risk of their opponents building the highly-prized lines before them. The game is great for kids since play is fairly straightforward with little-to-no reading required, and various expansions have added to the replay of the game over the years. 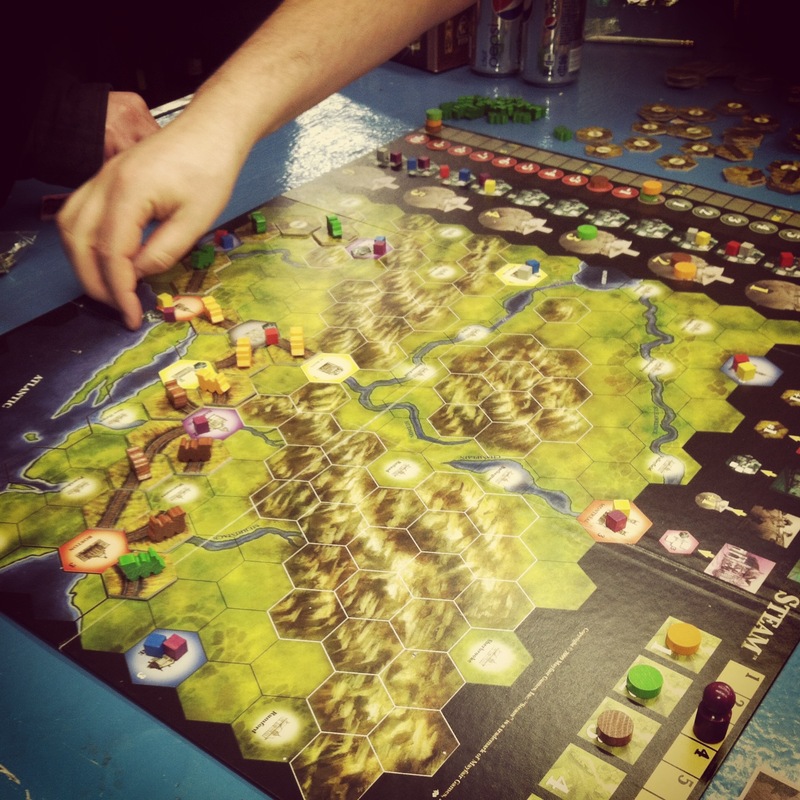 A couple weeks ago I had occasion for a first play through Steam at Metropolitan Wargamers in Brooklyn, NY. 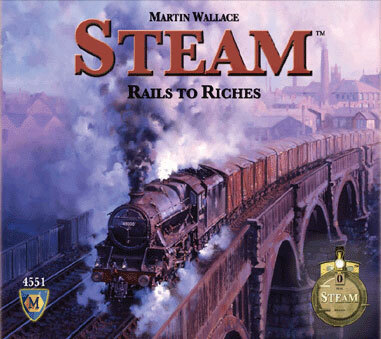 Steam, released by Mayfair Games in 2008, is similar to many train games in that it has a a route-completion component. The basic game comes with a two-side board featuring the US Northeast and the European Rhine/Ruhr region on the flipside. Aside from building routes, players transport goods between cities and upgrade towns to become new hubs. The game is competitive, but players can also balance sharing the wealth over some lines as tracks are strategically completed. Various map expansions add geographic possibilities in Europe, Africa, Asia and the West Coast of the US. Steam Barons expands the game further with a heavier economic mechanic of investing in the stock of multiple railways. In my first play through Steam I really enjoyed the Eurogame feel with choices made each round in various focuses of upgrading trains, building track, establishing new stations and moving goods. 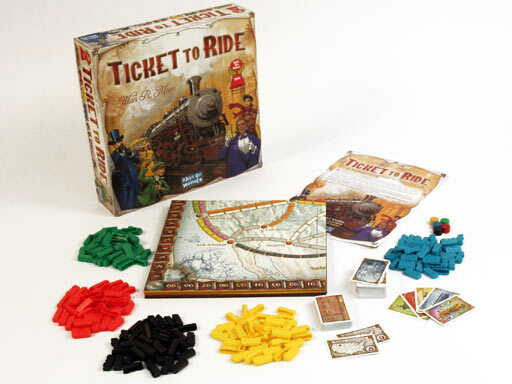 Bidding for turn placement also becomes increasingly important throughout the game as the board becomes crowded with competing routes and available goods begin to dwindle. Access to capital also shifts during the game, as access to lots of money becomes less important late in the game after a focused growth mode early on. Having played through the game, I’m anxious to give it another ride soon with the Steam Barons expansion’s added stock market elements. 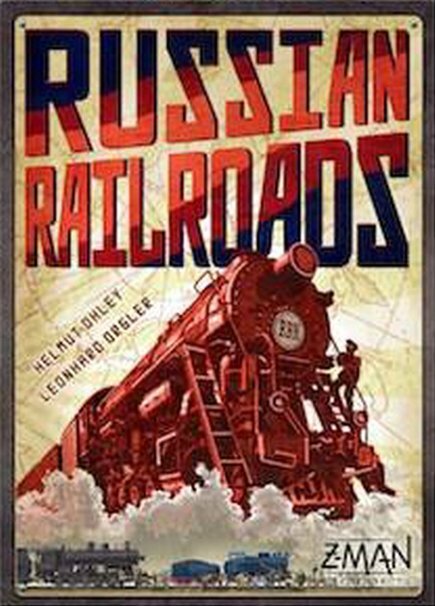 The latest favorite rail game hitting the table at the club in Brooklyn is last year’s Russian Railroads from Z-Man Games. In classic Eurogame style, Russian Railroads is driven by worker placement mechanics as players push to develop increasingly technological superior trains ahead of the competition. While I haven’t had a chance to play the game yet, it did make a lot of people’s top games of the year, so I’m certain to jump into a game in the very near future. Like myself, I’ve found a lot of gamers who are passionate about trains. Maybe it’s the competition inherent in railroad history that make them appealing. It could also just be the boyish thrill big trains never cease to bring. Regardless, like a passenger waiting at some rural depot with ticket in-hand, we’re all waiting for the next train to arrive with the possibility of adventure and fortune somewhere down the tracks.